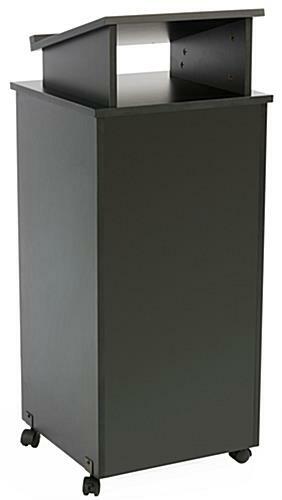 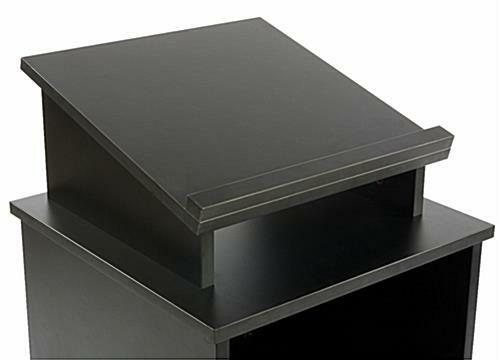 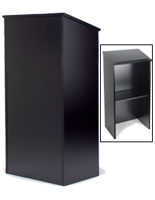 This podium on wheels features a stylish and versatile design that can serve many needs. 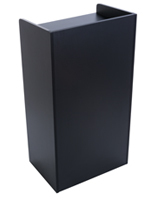 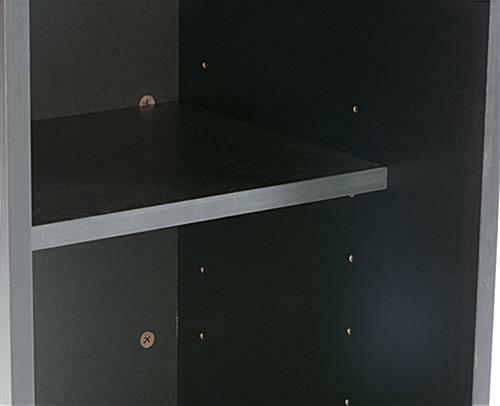 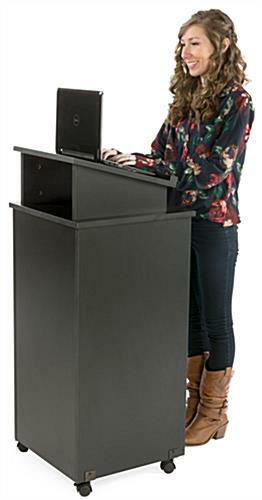 Each full size lectern is made of durable black melamine finish plywood, with an open top angled shelf display for reading materials, tablets, or notes. 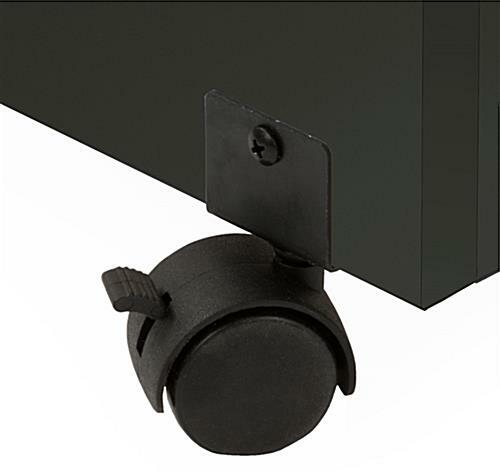 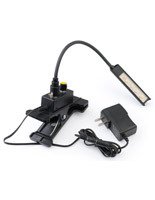 This easy to move speakers' stand on wheels has 2 lockable and 2 non-locking caster wheels. 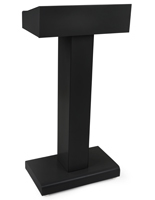 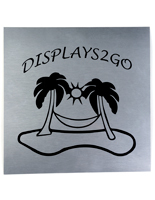 This 18" wide fixture has an open back with one adjustable shelf that is ideal for storing notes, presentation materials, menus, accessories, or even merchandise. 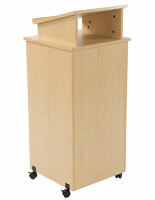 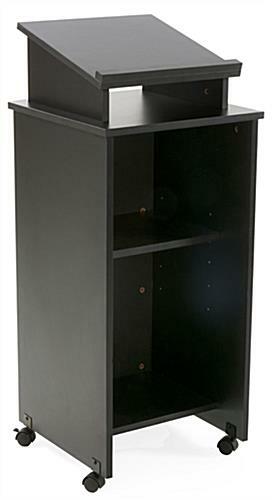 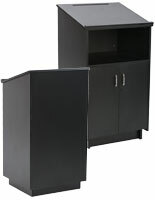 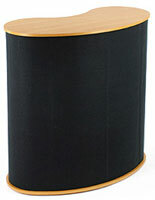 This sturdy lectern on wheels is an economical alternative to fixed speaking furniture. 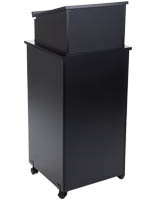 This type of portable reading or hostess stand is a great choice for restaurants, conference and seminar facilities, offices, classrooms, and businesses.